Recently, social phenomena have received a lot of attention not only from social scientists, but also from physicists, mathematicians and computer scientists, in the emerging interdisciplinary field of complex system science. Opinion dynamics is one of the processes studied, since opinions are the drivers of human behaviour, and play a crucial role in many global challenges that our complex world and societies are facing: global financial crises, global pandemics, growth of cities, urbanisation and migration patterns, and last but not least important, climate change and environmental sustainability and protection. 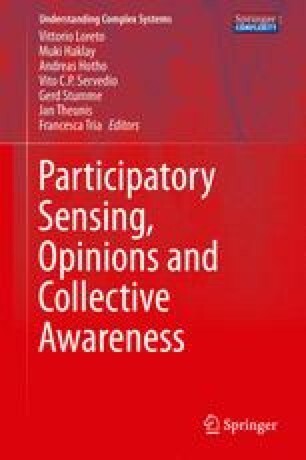 Opinion formation is a complex process affected by the interplay of different elements, including the individual predisposition, the influence of positive and negative peer interaction (social networks playing a crucial role in this respect), the information each individual is exposed to, and many others. Several models inspired from those in use in physics have been developed to encompass many of these elements, and to allow for the identification of the mechanisms involved in the opinion formation process and the understanding of their role, with the practical aim of simulating opinion formation and spreading under various conditions. These modelling schemes range from binary simple models such as the voter model, to multi-dimensional continuous approaches. Here, we provide a review of recent methods, focusing on models employing both peer interaction and external information, and emphasising the role that less studied mechanisms, such as disagreement, has in driving the opinion dynamics. Due to the important role that external information (mainly in the form of mass media broadcast) can have in enhancing awareness of social issues, a special emphasis will be devoted to study different forms it can take, investigating their effectiveness in driving the opinion formation at the population level. The review shows that, although a large number of approaches exist, some mechanisms such as the effect of multiple external information sources could largely benefit from further studies. Additionally, model validation with real data, which are starting to become available, is still largely lacking and should in our opinion be the main ambition of future investigations.